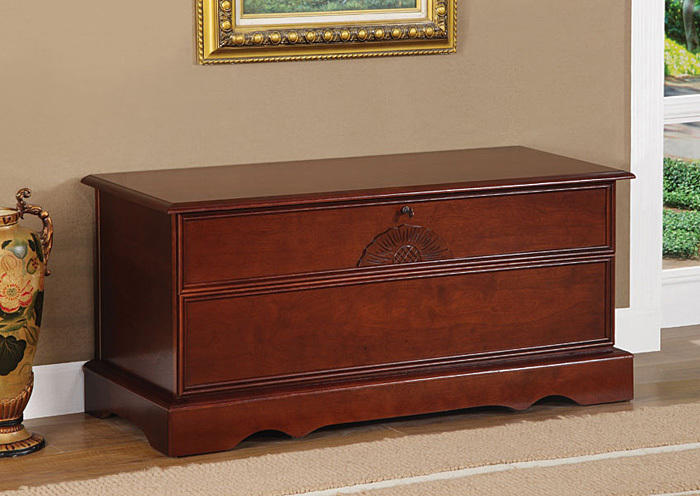 Finished in warm brown, this cedar chest offers its users ample interior storage space and exterior seating opportunities. 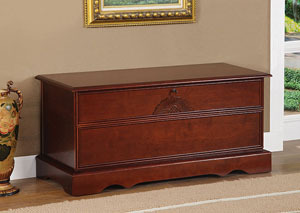 In addition to its storage, the chest also showcases a curved based and ribbons of wood detailing along the mid-section. Note that this chest's lid can lock for additional security if desired.